As we all (hopefully) should know by now, this is the Year of the Bus. It’s also the theme for the Museum’s next Poster Parade; a temporary museum exhibit showcasing posters from our collection. Normally, the curators choose the posters for each of these exhibits. 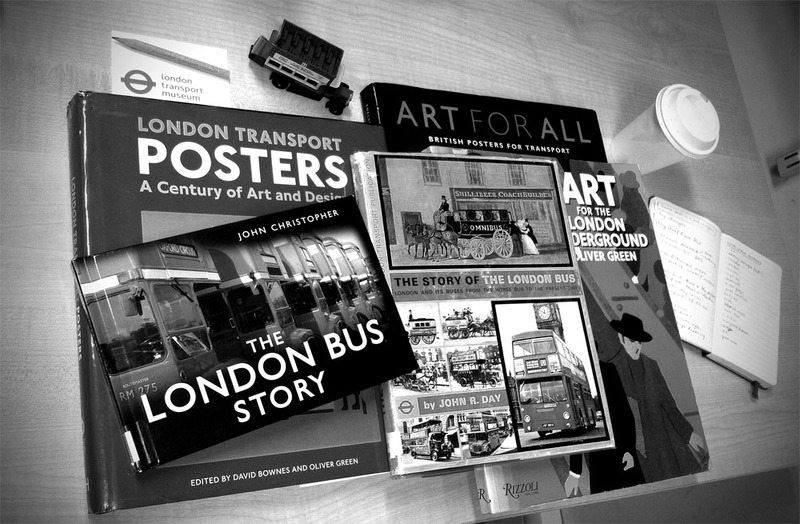 However for this Poster Parade we want you to help us make our selection, in celebration of the London Bus! A simple search of the collection’s database reveals over 5000 potential choices. We’ve narrowed this down to 30 and we need your help to reach the final 15 that will go on display. Our extensive research (and much coffee!) 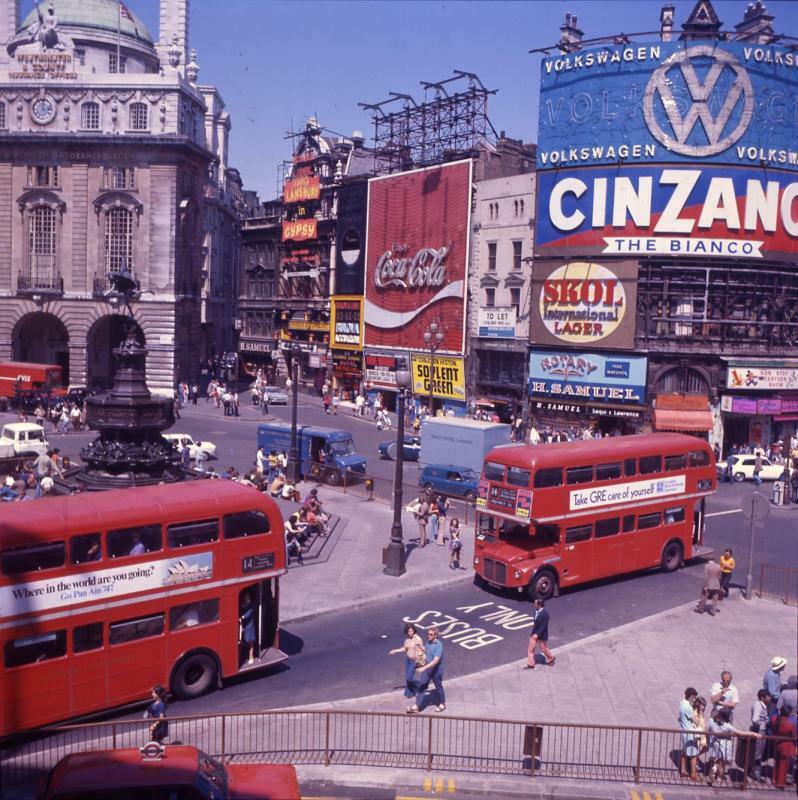 resulted in a selection of posters which reveal some interesting historical developments and consistent themes in the life of the London bus. 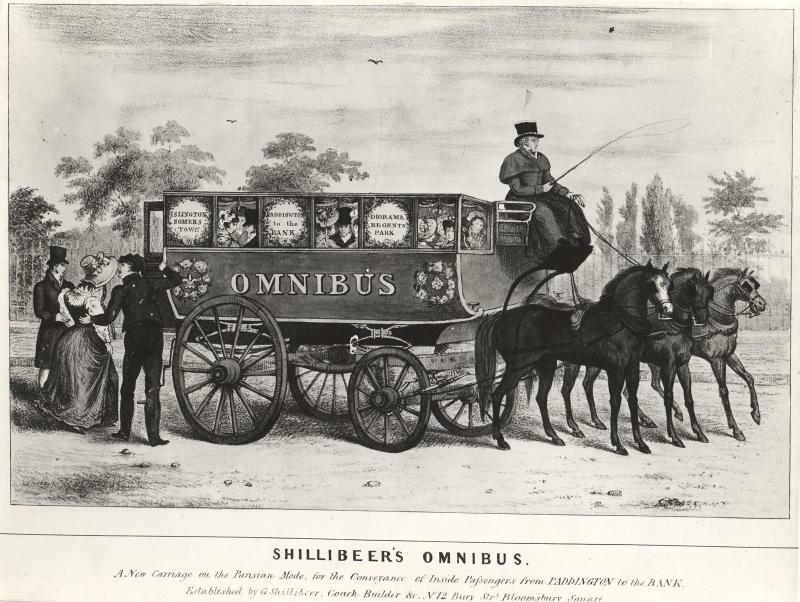 You might notice Shillibeer’s Omnibus and the London General Omnibus Company (LGOC) – the first reliable motorised bus – as well as the B-type, appear in several of our choices. The discontinuation of the Routemaster in 2005 and the introduction of low emission fuel buses also feature, to name but a few. Bus posters do not necessarily reflect all these changes, however there were a number of themes emerging. Themes include recruitment, leisure trips and sightseeing as well as competition between bus, taxi and tube travel. There are also a range of stylist differences across the decades. The eighties posters might ring a few bells for you; from a decade in transport which saw the introduction of night buses and bus passes! If you prefer bright, animated images, vote for ‘Hop on a bus’ or ‘The motor omnibus for all ages’. The colourful London General posters from the 1920’s might catch you eye; or you might prefer the mixed media styles such as ‘Busabout’ and Eckersley’s ‘See London by Bus’. Either way, we hope you like the selection and vote for your favourite!